The Simply ICT consultants only have one goal in mind. We ensure that ict promotes your success. Simply by making ICT more efficient. Cheaper, more effective, more transparent. Turning an expense into a strategic asset. We do the thinking for you. Focus on your business needs we design a well-organised infrastructure. 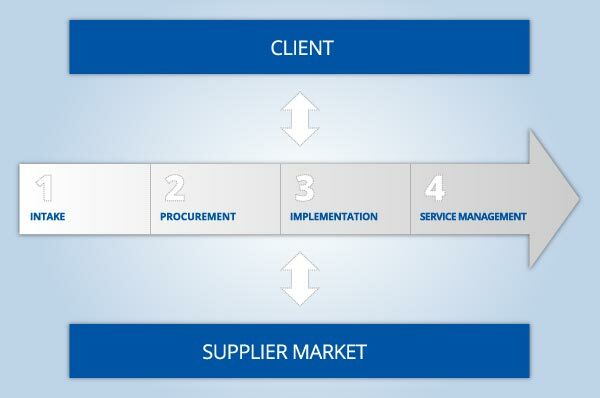 But we will also help to find the right suppliers to realise this structure. And we ensure a flawless implementation. If desired we advise you in the purchasing and manage the contracts. Cost-conscious and focussed on the future. After all, your business must be able to develop.